Xbox One S has over 1,300 games. Play XBox One S with friends, use apps, and enjoy built-in 4K Ultra HD Blu-ray and 4K video streaming. The XBox One S console offers HDR, high dynamic range for brilliant graphics. 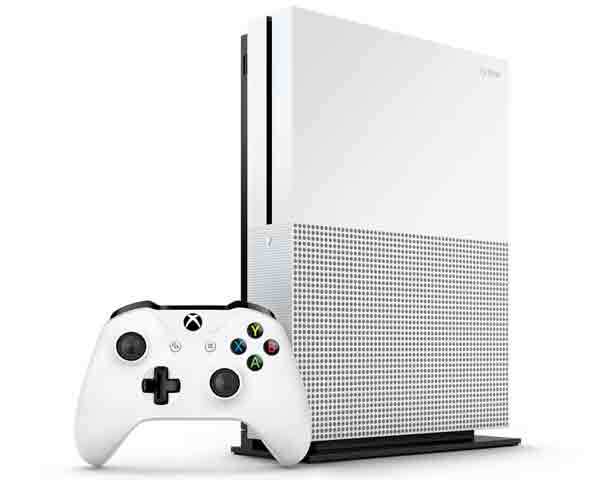 XBox One S also offers 4K resolution, for ultra HD Blu-ray and video streaming. Features Premium Dolby Atmos and DTS:X audio. Keep your existing accessories as XBox One S works with both the accessories you've got now and the new ones on your wish list.